Study and nicely made table for our granddaughter room! Behold this winning Bentley hydraulic bar table by Armen Living. This adjustable pub table features modern design that is ideal for entertaining casually in your home dining, bar or downtown loft. The stylish Bentley bar table is ideal when paired with counter or bar height stools but also looks great when simply displaying magazines. This contemporary bar table features a pneumatic lift function that allows for adjustable height, taking you from counter height to bar height. 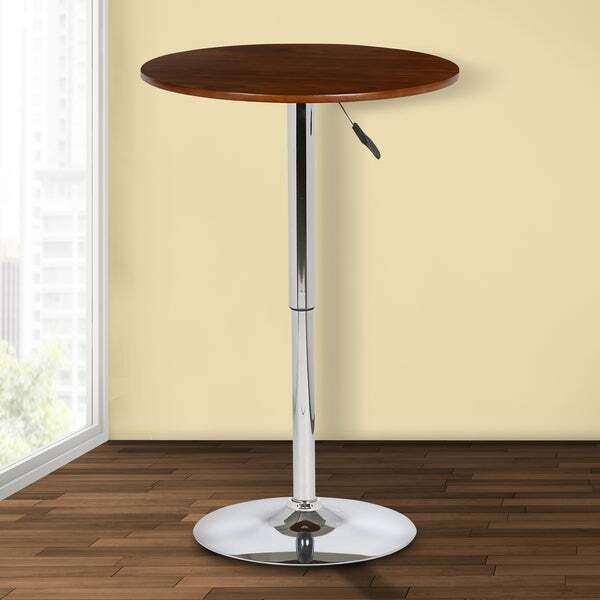 Made of durable materials, this bar table has a round walnut wood top and metal chrome base that will fit in and complement your home.